I thought ending the 160over90 branding contract was supposed to save money. Apparently not. 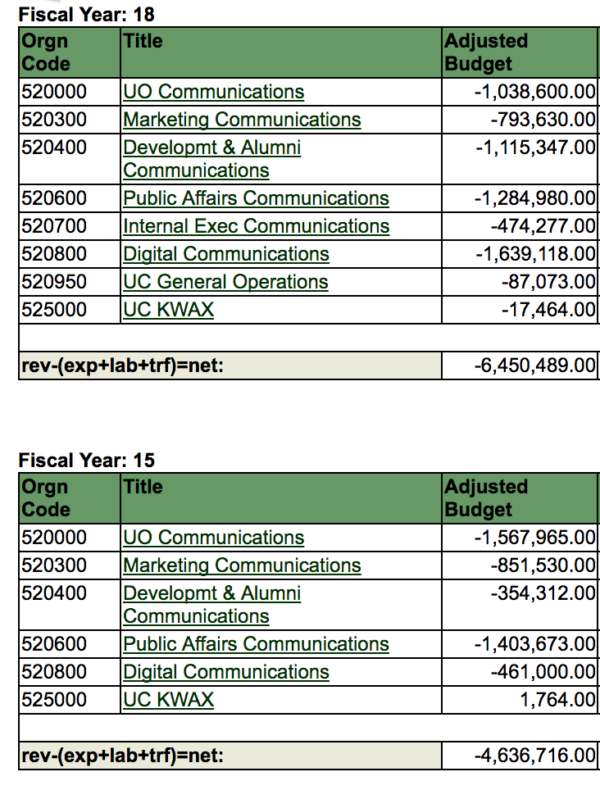 And we’re now spending $475K on “Internal Executive Communications”? Hell of a job they’re doing. Tagged administrative bloat, Kyle Henley, UO communications. Bookmark the permalink. Imagine the fiasco the Oregon Bach Festival might have become without this professional approach to communication. Worth every dollar!